One and only Traditional Vegetarian Indian Deli in Oxford. Specialising in Sweets Savouries and Spices. We make fresh vegetarian food everyday and can be booked for outside catering events for vegetarian, vegan and gluten free diets. Raw vegan cakes and desserts. We supply to local cafes and restaurants. cakes and desserts. Look out for us at pop up events and markets around Oxford! We specialise in plant based, low allergen food for all your events. Delicious, nutritious and satisfying food, prepared with care so that everyone can feel nourished by the meal you offer. We aim to offer delicious, vibrantly coloured and nutritionally balanced bespoke menus for all budgets. We offer on-site yoga and meditation retreat catering, event catering and Street Food/Pop-up event hot and cold menus. We can also provide delicious Gluten Free, Vegan cakes and bakes to order. Bharita means green, full and nourished in ancient and sacred Sanskrit and Pali languages. Bharita is brought to you by Mel and Annmarie, who both seek to minimise harm and enjoy vitality with their choices. Our service is rooted in harmony, kindness and careful awareness of our actions for the benefit of everyone. Oxford's first entirely plant-based and healthy eatery; vegan catering available. 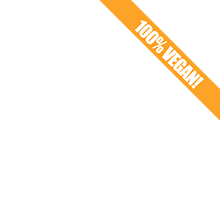 We provide 100% plant-based foods that are also free from refined sugar, additives, GMOs and often gluten. Our mission is to help our customers thrive, through providing the best possible fuel for their bodies.